Development of Standards and Processes for Accreditation of Transition to Practice Programs. This is just a snap shot of what you can expect. In addition to podium and poster presenters, Donna Meyer, President of the Organization for Associate Degree Nursing, will present Transforming Nursing Education through Cross-Institutional Pathways. Due to popular demand, the ACEN Associate Directors will present Two Roads Converge: Merging End-of-Program Student Learning Outcomes with Outcomes Assessment. You do not want to miss these informative pre-sessions! The ACEN Nursing Education Accreditation Conference will offer over 36 continuing education credits and networking opportunities for each program type – Practical, Diploma, Associate, Baccalaureate, Master’s, Post-Master's Certificate, Clinical Doctorate, and DNP Specialist Certificate. The conference will feature the Human Library, which will provide attendees time to spend with seasoned ACEN Peer Evaluators and ACEN Associate Directors who will answer program specific questions. Another feature, the Knowledge Café, will provide attendees the opportunity to review exemplary Self-Study Reports, Focused Visit Reports, and Follow-Up Reports to glean a better understanding of the contents of a well-written report. 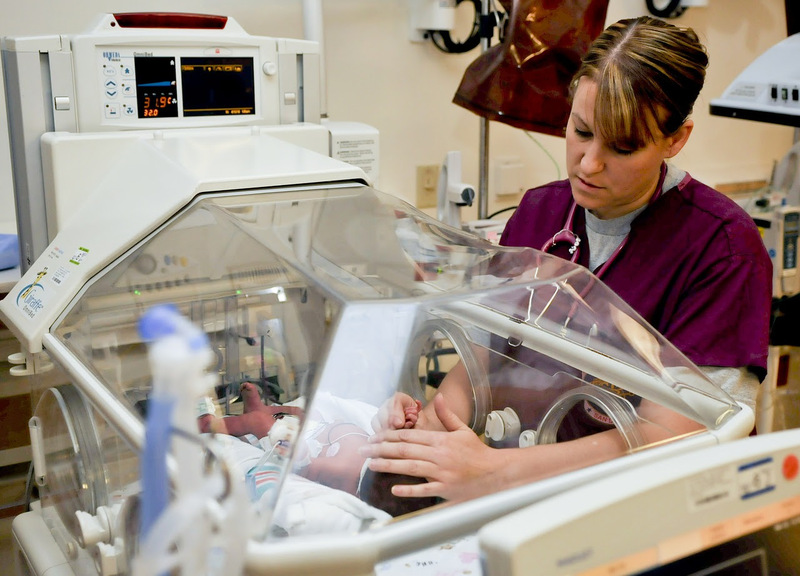 Our Marketplace will showcase innovative resources for nursing programs. The time has come and we are here to help! As a reminder, the 2017 Standards and Criteria became effective January 1, 2017, and all programs being reviewed beginning January 1, 2018 will do so under the 2017 Standards and Criteria. To that end, the ACEN is committed to helping you as a supportive partner with the transition to the 2017 Standards and Criteria, and the ACEN staff would like to remind faculty that there are several resources to assist programs with this transition. These resources include the professional staff, online documents and guidelines, forums and workshops, as well as intensive support options. The ACEN professional staff are seasoned educators who are committed to helping programs navigate the accreditation process. Please do not hesitate to contact us with any questions about the ACEN Standards and Criteria, policies, or procedures. We are here to help! Online Resources - Recently Updated! Guidelines for the Preparation of the Self-Study Report:This document is a must-use for preparing the Self-Study Report, providing not only details for formatting but also lists of essential elements which should be included in the report and/or the evidence room to support the narrative. There are also focused questions in these guidelines to help you with developing a clear and comprehensive report for your peers. It is that time of year again when giving back to the communities surrounding us is weighing on our minds. 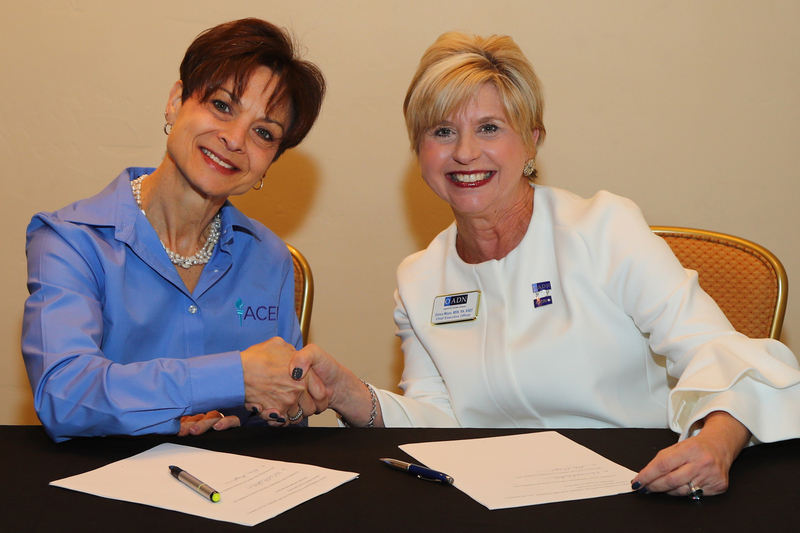 As a nursing organization, the ACEN has giving back on its mind year-round. Each year, the ACEN team participates in an out-of-office excursion to help promote teamwork as well as inner-office collaboration and growth. This year, we chose to give back to the greater Atlanta area by providing a Career Day to students in Dr. Jeannette Francis-Ferris’s Health Sciences Courses at South Cobb High School in Austell, Georgia. Professional staff, our executive team, and our administrative team shared experiences, including our educational backgrounds and what led us to the ACEN. Students engaged in conversation and questions with our team and showed a thirst for knowledge. Before leaving the high school, members of the ACEN "editing team" assisted students in writing résumés for entrance into their desired college programs. Please join us in welcoming a new Commissioner! Dr. Shellye Vardaman joined the Board of Commissioners on December 2, 2017. Her term will run through September 30, 2018, due to a recent vacancy. Dr. Vardaman believes accreditation is a vital component of all nursing education programs. She has been an ACEN peer evaluator for six (6) years serving as a team member, team chair, and on the Evaluation Review Panel. 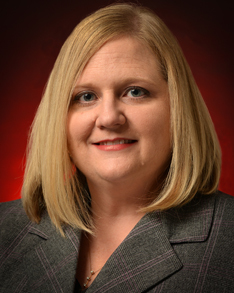 Dr. Vardaman is an Associate Professor of Nursing at Troy University. Being among the longest tenured members of the Troy University School of Nursing has allowed Dr. Vardaman to serve in multiple roles across virtually all of Troy University’s nursing programs. In addition to her primary role as a nurse educator and program coordinator, Dr. Vardaman continues her clinical practice as a PRN staff nurse at a local hospital ICU. She also holds certifications as a Certified Nurse Educator and Board Certified Medical-Surgical Nurse. Dr. Vardaman holds membership in professional organizations, having most notably served as an officer of the local chapter of Sigma Theta Tau, International Honor Society for Nursing since 2001. She has also served STTI on the international level – elected to the International Governance Committee; co-chair of the International Charter Review Taskforce; member of the International Bylaws Taskforce; a regional Awards Committee; and her local chapter’s delegate to the international conference on multiple occasions. Currently, Dr. Vardaman serves as the chapter president for Troy University’s chapter of Phi Kappa Phi and was the delegate for the 2016 convention. Registration for the 2018 ACEN Annual Conference: Quality Education Through Accreditation, is now open! The conference features podium and poster presenters, networking opportunities, and the potential to earn over 36 hours of continuing education credit. Click on the image below to register, or read more in the "Quality Education Through Accreditation" article! The ACEN is thrilled to announce the promotion of Michaela Belgrave, the new Coordinator of Substantive Change. 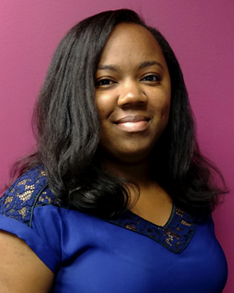 Michaela previously served as the Administrative Assistant for Accreditation Services, specializing in content editing and project management for almost three years. As a child of a U.S. veteran, Michaela has lived all over the country, but she considers Victorville, CA, to be her hometown. In 2012, she graduated from Georgia State University where she majored in English with a concentration in Composition and Rhetoric. She is currently progressing in the Technical Communication master’s program at Northeastern University. As the Coordinator of Substantive Change, Michaela works with the ACEN professional staff to review, evaluate, and process substantive change requests; conducts training on Policy #14 Reporting Substantive Changes, including monthly orientation conference calls and participation in Program Administrator Workshops; and provides support to programs contemplating substantive changes. She plans to use her technical communication skills and experience in accreditation services to develop new resources and processes to assist programs with reporting substantive changes. In her free time, Michaela enjoys reading, drawing, DIY projects, and woodworking. Michaela lives south of Atlanta with her husband and four dogs. We are delighted that the brand new Accreditation Management System, myACEN, is on target for a release in the spring of 2018! This powerful yet incredibly accessible online tool will reduce the time it takes you to perform data entry at all stages of the accreditation processes, and will ensure prompt and continuous communication between ACEN staff and all of our worldwide constituents. From an auto-populating calendar of important events to automated notifications of new account activity, myACEN is the platform that will greatly simplify the entire accreditation process for you. Stay tuned for more news and exciting tutorials as the release date inches closer! Q: Why Eight-Year Accreditation Cycles? A:About 12 years ago the U.S. Department of Education (USDE) told all accrediting agencies that a ten (10) year interval between accreditation cycles was too long of an interval. Currently, eight (8) years is the longest acceptable interval between accreditation cycles. Yes, some accrediting agencies have a ten (10) year interval between accreditation cycles however, to satisfy the USDE mandate all institutions/programs must demonstrate compliance through an interim report midway between cycles – at the fifth year. This report carries all the weight that any review by the accrediting agency’s governing board bears. At ACEN eight (8) years really means eight (8) years; ACEN accredited programs are not doing an accreditation process midway through the accreditation cycle. Doctorate, Post-Master's Certificate, Master’s, DNP Specialist Certificate, Baccalaureate, Associate, Diploma, and Practical Nursing program in the United States and its territories. In 2008, the USDE recognition also included the doctoral level. With its original recognition by the Council for Higher Education Accreditation (CHEA), the ACEN has been recognized as an accrediting agency of nursing education programs that offer either a certificate, diploma, or recognized professional degree (Clinical Doctorate, Post-Master's Certificate, Master’s, DNP Specialist Certificate, Baccalaureate, Associate, Diploma, and Practical Nursing) in the United States, its territories, and internationally. Since 2011, the CHEA recognition of the ACEN has also included the clinical doctorate level. The ACEN accredits clinical doctorate programs, as well as DNP Specialist Certificates, with all specialty areas such as nurse educator, nurse leader, as well as advanced practice roles. All DNP programs are required to have practice focus; DNP programs must have a minimum of 500 practicum hours at the doctoral level.